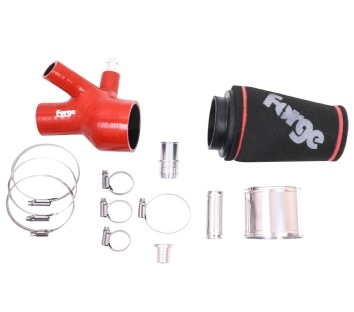 Dyno testing of this kit by Forge showed improvements of 6 horsepower over the stock airbox on a standard engine with greater improvements on tuned vehicles. Whilst Power gains may vary depending on your modifications and level of tune, if you desire even more performance, this has to be the perfect choice. The filter is located directly in front of the cold air duct into the engine bay. This kit also significantly tidies up the engine bay by removal of the OEM airbox and associated cold air ducting.